Julau District Office Administrative Officer Catherine Sayu (third left) receiving the cheque for RM50,000 to organise next year Julau Pepper Festival from Member of Parliament for Julau Datuk Joseph Salang. JULAU: Member of Parliament for Julau, Datuk Joseph Salang Gandum urged longhouse folks in the Julau Parliamentary Constituency who are facing drinking water problem to inform their respective district offices of their predicament. Salang added that their respective longhouse chiefs should also take the initiative to do so. “All the longhouse chiefs concerned should submit a report indicating the location of their longhouses and the number of households affected. “This problem is getting widespread now because of land development activities especially the opening of oil palm plantations. “Our rivers are getting polluted due to chemical run-off from fertilizers and other affluent used,” he said at a meet-the-people session at Rumah Seman anak Panting in Ulu Sungai Lasi here on Saturday. According to Salang, he had written to Prime Minister Datuk Seri Najib Tun Razak for a fund of RM40 million for the expansion of the existing Julau water treatment plant so that it can supply water to a bigger area. “I have also raised this issue in the Parliament,” he said. He also urged other relevant authorities like the Public Works Department, the water board and the Rural Water Supply Department to help find solutions. Meanwhile, touching on the perimeter land survey exercise initiated by the state government, he said land owners have nothing to fear over it. He stressed that there is no such thing as the government is out to seize the people’s land through the process as feared. He added that the purpose of the perimeter survey was to determine the boundaries of the NCR land and state land. “When the boundaries are properly determined the issue of land titles can be speeded up. When you have titles to your land you can have them gainfully developed including on joint ventures with private investors,” he said. Hence, he reminded the people that the perimeter survey was a very important exercise. 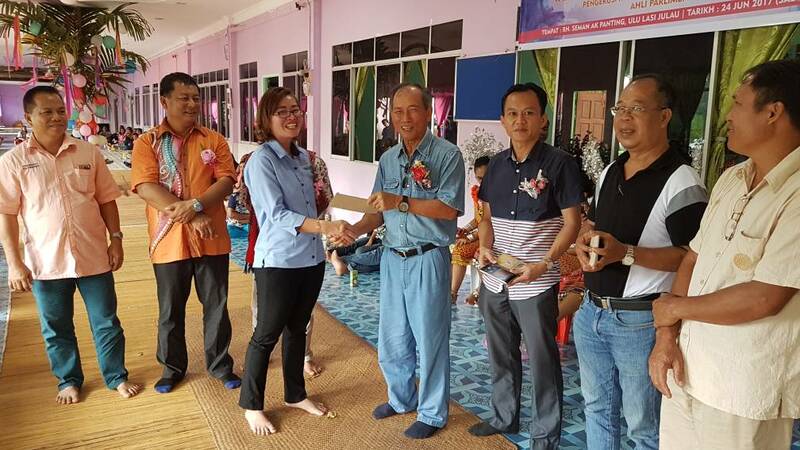 Later at the function Salang presented minor rural project grants totalling RM398,000 to 31 longhouses in Lasi, Merurun, Balut and Jugam in the district. The amount included a sum of RM50,000 given to the Julau District Office for it to organize next year’s Julau Pepper Festival. RM398,000 grants to 31 longhouses 0 out of 5 based on 0 ratings. 0 user reviews.